Did you know chronic bad breath is often a sign of oral health problems? General dentistry treatments can help restore oral health and reduce bad breath. To find out which treatments are right for you, we invite you to schedule a consultation with Woodinville dentists Cristin Dowd and Ken Wu. Certain foods and drinks: Certain foods and drinks, like garlic, onions, coffee, and alcohol, can cause bad breath. Fortunately, bad breath caused by food will go away once the food is fully digested. Gum disease: Gum disease is caused by plaque, tartar, and bacterial build-up along the gum line, leading to an infection of the gum tissue. Gum disease is one of the leading culprits of chronic bad breath. Tobacco use: Tobacco use, including smoking and tobacco chewing, can cause bad breath due to the actual smell of tobacco and smoke, and also because tobacco use increases the risk of gum disease and plaque build up. Tooth decay: Tooth decay is another common cause of bad breath. Untreated tooth decay often gives off an unpleasant odor. Oral yeast infections: Oral yeast infections can cause bad breath and may develop in denture wearers, diabetics, smokers, or people who have used antibiotics for a prolonged period. Acid reflux: Acid reflux allows stomach acids to move up the esophagus and sometimes into the mouth, leading to bad breath and tooth decay. Diabetes: Bad breath can actually be a sign of general health issues, specifically diabetes. Though a full dental exam or full physical (if general health issues are suspected) is necessary to determine the cause of bad breath, there are many dental treatments available to treat it. Here are some treatments and tips to stop bad breath. Gum disease treatments: Gum disease treatments, like root planing and scaling, can eliminate gum disease and any related bad breath. Tooth decay treatments: Treating tooth decay with dental fillings, porcelain crowns, or inlays and onlays can help reduce bad breath caused by tooth decay. 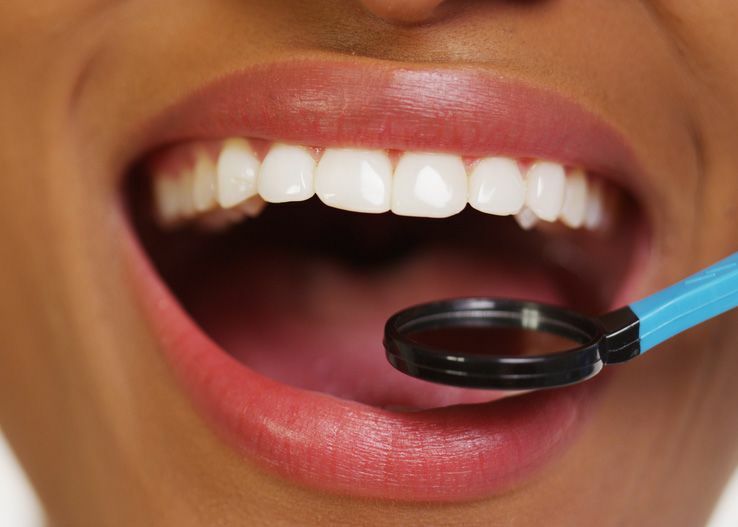 Regular dental exams and cleanings: Regular dental exams and cleanings help keep the mouth free of gum disease and decay, reducing the risk of bad breath. Practice proper oral hygiene: Proper oral hygiene, including brushing twice a day and flossing once a day, reduces the risk of gum disease, tooth decay, and bad breath. Stop smoking: Stop smoking or chewing tobacco to improve oral health, overall health, and breath. Seek treatment for diabetes: If you have diabetes, it's important to see your physician to ensure your diabetes is under control, which can help reduce bad breath symptoms. To find out which treatment is right for you, we welcome you to schedule a consultation today.